Mortensen plays a 19th century captain searching for his daughter, in what is referred to as ‘Patagonia’ in his latest big screen release. The great Dane (via Argentina and America) spoke to George Meixner about the new project. The actor was ‘Man’ in The Road, was a man with a sword and a horse in the Lord of The Rings franchise, will star in Far From Man later this year and spends much of this film on horseback, with, yes, a sword. So what attracts this man to play these men and what makes him tick? The search for answers begins here. However, he probably posed more questions than he answered, such is the inquisitive nature of the… bloke. Viggo was largely attracted to the film because of two of the main protagonists behind the camera. Of Lisandro Alonso, the director, he said that “I’d seen some of his movies before accepting the role and I thought that the ingredients of it, at least at the start – a father goes looking in Indian territory for his adolescent daughter – was a classic start to an adventure story.” Indeed his character is interminably scouting in this challenging movie. Shot in a 4:3 ratio with very static camerawork that accentuates the barren landscape it is not for the fainthearted, but definitely for the fascinated. Faced with a quotation from the director that “I wanted to pull you into a labyrinth that you couldn’t escape from”, Viggo replied that he didn’t really agree with it. Neither did he wholly endorse the questioner’s comparisons to the metaphors raised by Alonso’s earlier film Los Muertos. Well at least the question was right, albeit for existential reasons rather than actual ones. Now you have started to see words like ‘existential’ pop up and phrases such as ‘question everything’ appear, you may start to realise what kind of film this is. On the subject of music it was clear there was a little edge to his voice that meant he was not just promoting his film in his answer. He was talking about his life, Viggo’s adventures. To answer the question about his input to the score, sparse as it may be, it was again in reference to Lisandro, who was breaking new ground in the way he makes his films, that the “music was something that he decided, ‘That transition is important, that night where he falls asleep under the stars, holding the daughter’s toy soldier because the next day he wakes up and the landscape, the weather, everything is changed, everything is different. More specifically “he thought it was important to help that transition with music, which surprised me, because I knew he didn’t usually do that. And I said, ‘Well, what kind of music? I mean we have limitations and we don’t have any budget – what are we going to do?’ He said, ‘Well, it doesn’t have to be period – I’d rather it wasn’t period specific music’, but he described something with guitar, something that was lyrical and had a certain feel… and so I said, ‘Well, I have worked with and known for many years a very good guitar player named Buckethead, he’s a genius really and we’d record a lot of things, sometimes they have a lyrical quality that sounds like what you’re describing, I can send you some of these tracks and see what you think’. Obviously it sparked something in the director and that particular section stands out all the more prominently for the surprising jolt of music that strikes the screen. “It was unexpected, I would have never imagined I was going to be providing music for a movie – music is something I do for fun. I mean, I take it seriously, but this was never something I would have thought of, especially on a movie like this. 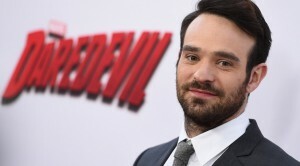 On his reaction to the film’s initial critical praise “I thought it would be an interesting movie but it turned out better than I could have hoped. And the reception, the reaction to it, particularly from critics who usually would only write about more mainstream type movies, in North America and Europe and elsewhere, has been incredibly positive. I think it’s maybe the best, overall the best reviewed movie I’ve ever been in, including maybe even Lord of the Rings and the Cronenberg movies. It’s incredible. I’m really pleased, but I am, to be honest, surprised. I didn’t expect that…. They may just say, ‘Well, this is nonsense, I don’t know what’s going on here, I don’t understand anything, it’s too slow, etc, etc’. And that’s not been the case. Almost always it’s been well reviewed”. Apparently his perception of the film hasn’t changed a great deal. Mostly because he never really knew what it was ‘about’ in the first place? It’s the not-knowing that he appears to revel in.” I’m still working it out. I’m still working out what the movie’s about [laughs]. And I like those kinds of stories. I like those kinds of directors who tell a story or make something that provokes questions but resists answering the questions. I think Cronenberg is that way as well. I like artists that do that, whether they be poets or painters or musicians or film directors. Each time I’ve seen the movie I’ve seen another layer, usually some other aspect to it. Usually having to do with dreams that start and end with sleep, one dream tying into another until you’re not sure who’s dream it really is. I mean that, you get the first time, but you get it in a more detailed way with each viewing, I find, at least that’s been my experience. I’ve been really pleased – it’s much richer than I expected”. Jauja is out in cinemas on 10 April. 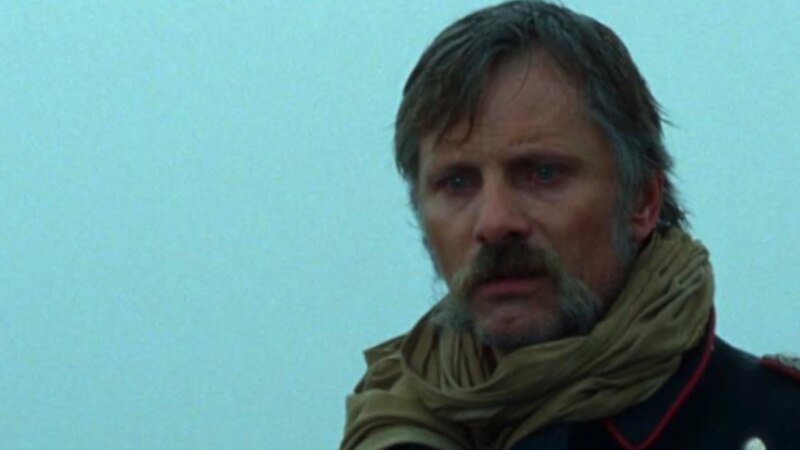 You can also read Ben McCarthy’s review of Jauja.